We know that feeding a baby is a real challenge and sometimes it is another stressful, messy and chaotic experience. Kids learning to eat solid and semisolid foods are more than a little messy, but we know that you still you love to give the best food for your little one and want to make the meal time as much as fun as it could be. 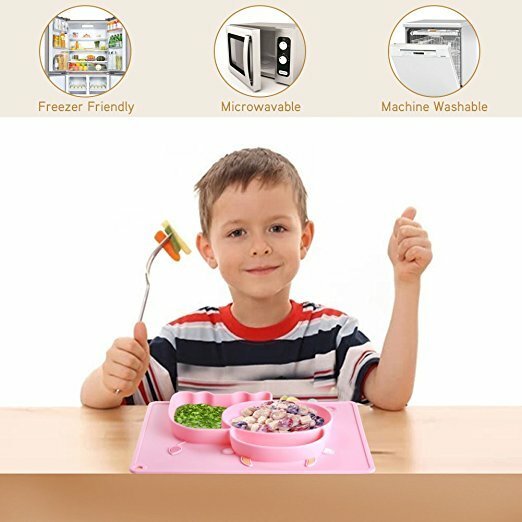 Are you looking for a simpler solution to keeping food on the table while your toddler is moving away from the bottle to regular foods? Keep them cleaner, happier and confident with silicone placemats. 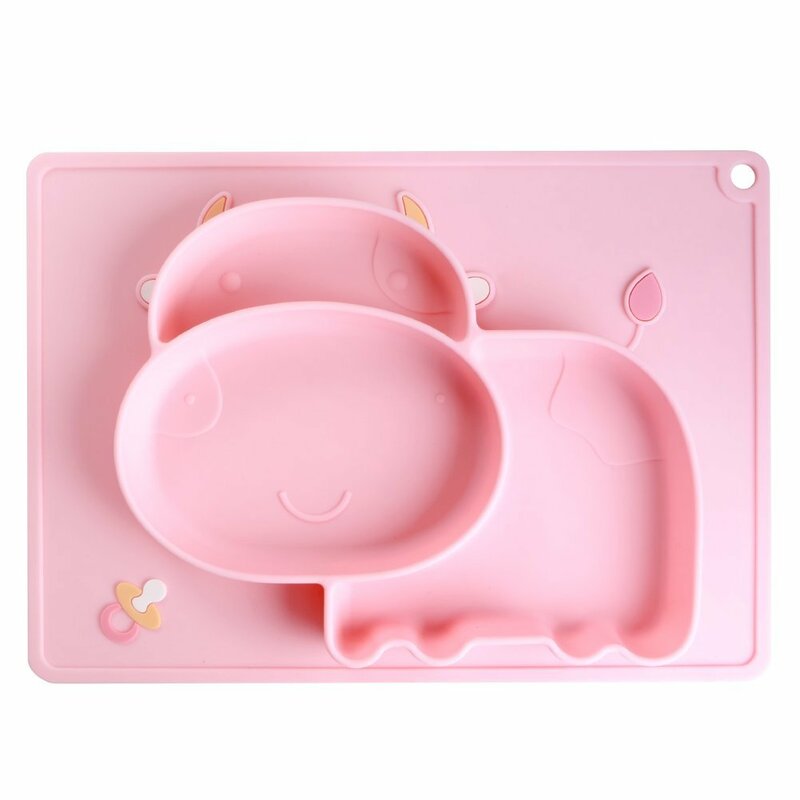 WHY Choose Our Silicone Kids Plate and Placemats? 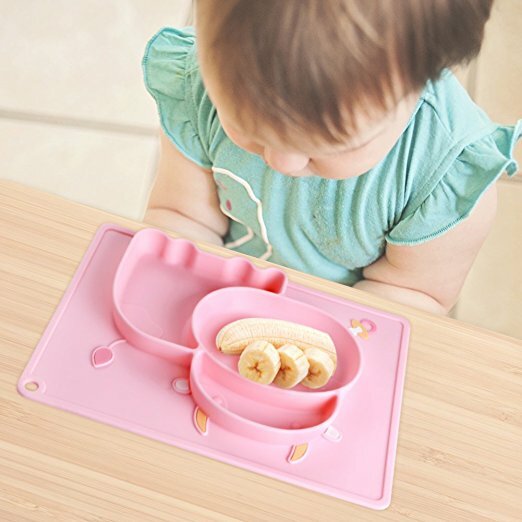 ★ It improves self feeding of your kids and makes feeding time fun and enjoyable for you. ★ The compartments on the children’s placemat are arranged into adorable, kid-friendly shapes. Combined with bright, vivid colors, your baby will love these placemats so much they wont want to eat off of anything else! 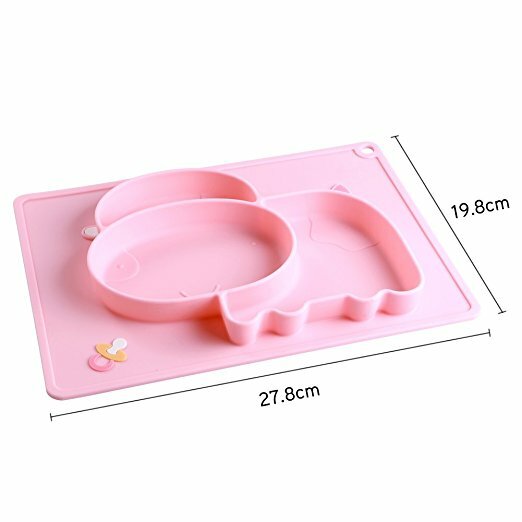 ★ Silicone Placemat Plate has 3 compartments and perfect to hold pasta, fruits, vegetables, sauce or yogurt with a main course. Also, the edge of the plate is deep enough to accommodate cereal with milk and pasta. 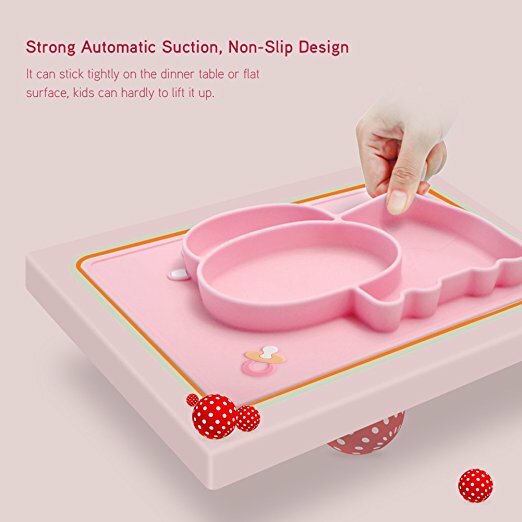 ★ It has very good suction and hard for little ones to move or overturn like traditional plates. 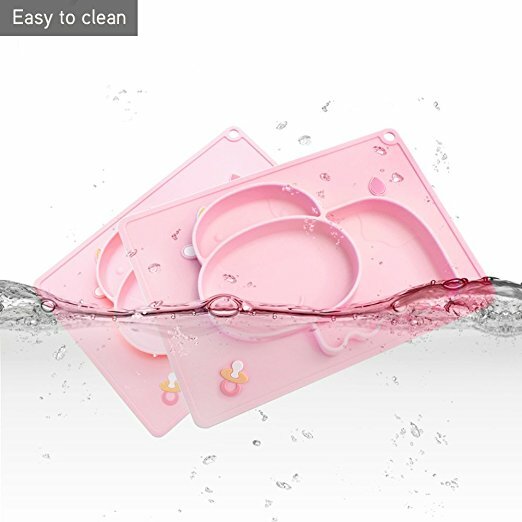 ★ The silicone placemat is perfect for dinners, outing camping, and travelling etc since it is not only lightweight but compact too. 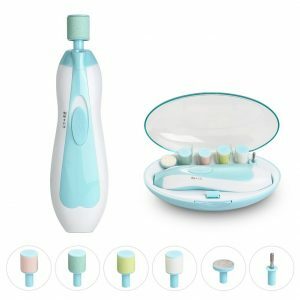 Its portable size allows it carrying anywhere. 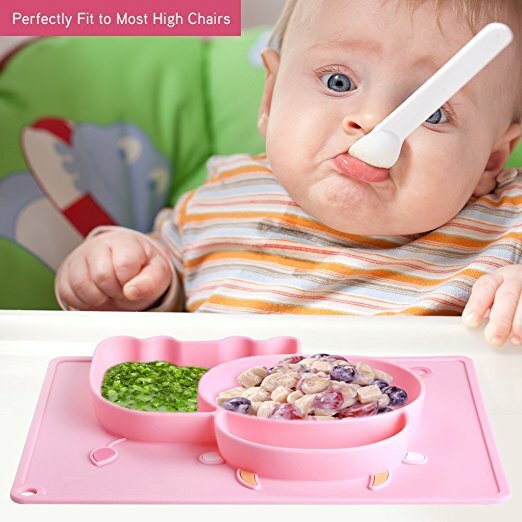 So it becomes a great convenience for baby feeding wherever you go.